BEIJING (Reuters) - China said on Friday it had every right to drill in the East China Sea close to waters disputed with Japan, adding that it did not recognize a "unilateral" Japanese median line setting out a boundary between the two in the waters. In an escalation of the latest dispute, Japan released aerial photographs of China's construction in the area, accusing it of unilateral development and a halfhearted attitude towards a 2008 agreement to jointly develop resources there. 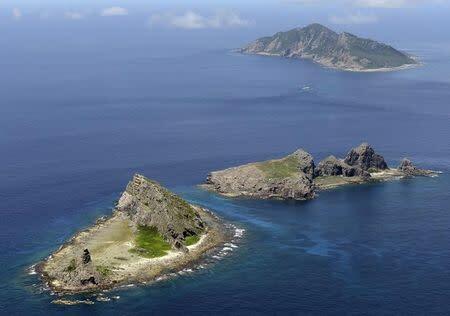 "China and Japan have not yet delineated maritime boundaries in the East China Sea, and China does not recognize the Japanese side's unilateral marking out of a so-called 'median line'," the ministry said in a statement. "Lee Teng-hui is a stubborn Taiwan splittist. The Japanese side ignored China's stern representations and provided convenience for him to visit Japan and engage in Taiwan separatist activities," it said.